May 29, 2018 May 29, 2018 by Beau H.
In the hustle and bustle between holding down a PR job and keeping things (mostly) afloat at The Style Guide, there are days where I prefer to just grab and go when it comes to my personal style. Do you feel much the same way? Well, good sir (or madam! ), today’s #OOTD is for you. We’re talking the best way to wear a denim jacket this summer — a classic denim jacket is a grab-and-go style move that I find myself making more often than not, especially in these somewhat breezy days of early summer, where a sunny afternoon can shift to a cloudy night quite quickly. The Levi’s Trucker Jacket shown below is a timeless style staple, a silhouette that looks good on any guy. It looks even better when paired with some crisp-yet-simple brown dress shoes and pieces like a tough leather belt. What’s more, a rugged denim jacket adds a bit of visual edge to even simple looks — take, for instance, the slim grey T-shirt and classic five-pocket pants featured below. That, to me, is grab-and-go style at its best. The type of style that looks polished and considered, but not too perfect. The type of style that’s perfect for, well, right now. Count this #OOTD as perfect for weekend happy hour or a patio party, or even a day on the road — you’d be surprised how handy a Levi’s Trucker Jacket can be (can you tell I’m a fan?). If you’ve got thoughts of your own on this #menswear ensemble, let me know on Twitter. Onward! A classic denim jacket punches up this timeless #OOTD even more. Don’t you agree? The Denim Jacket: Levi’s Trucker Jacket in Queen, $89.50 — The casual light wash and lightweight cotton construction make the Levi’s Trucker Jacket an easy summer layering move, particularly over a classic grey tee. The T-Shirt: Taylor Stitch Triblend Tee in Grey, $38 — We’ve sung the praises of the Taylor Stitch Triblend Tee on the blog before. To be sure, the Triblend Tee in Grey is simple, comfortable and exceedingly well-made — it’s more than good enough to stand on its own. The Pants: Flint and Tinder 365 Pants in Earth, $98 — The cut of jeans with the fabrication of chinos — the Flint and Tinder 365 Pants are an everyday staple that exude timeless, cool style — perfect for summer. The Shoes: Thursday Boots Statesman Dress Shoes in Brown, $180 — The shoes really do make this outfit — understated dress shoes add a unique bit of high-low style here; they’re a cut above laidback high-top sneakers, so wear this look to get patio drinks at your favorite cocktail bar. The Socks: Arvin Goods Camp Socks, $15 — No stuffy wool boot socks here — just well-made, breathable Arvin Goods socks with some nice texture and color. The Watch: Shinola Runwell Watch, $550 — The beauty of a denim jacket-and-tee combo, matched up with simple-yet-sharp dress shoes? Your watch can toe that same line — the Shinola Runwell Watch is investment-worthy and sharp, yet it’s still a classic leather watch that’s understated enough to fit right in. The Sunglasses: Raen Optics Wiley Sunglasses, $135 — Because the rest of this outfit is stylish, yet not over-the-top, your sunglasses can be used to inject just a bit of visual interest into the look. Turn to Raen Optics. We’re turning the page on today’s #OOTD. Have you come around to the idea of wearing a classic denim jacket a little more casually this summer? When accessorized with the right staple pieces — like the simple-yet-effective Triblend Tee in Grey and the nicely tailored Flint and Tinder 365 Pants — it offers a bit of standout style without going overboard. It’s timeless, it’s rugged, it works for breezy summer nights and cool days … the Levi’s Trucker Jacket sure is a winner. That’s grab-and-go style personified. Crisp dress shoes are an interesting and unique substitution for classic sneakers — give it a try sometime and see where it takes you. Just because we’re going casual doesn’t give you an excuse to cut corners on the accessories front — start with a rugged leather belt from Levi’s, then add the Shinola Runwell Watch to seal the deal. Arvin Goods socks bring some sustainability and style into the equation — just the right amount of visual contrast when peeking out from underneath the cuff of your Flint and Tinder 365 Pants, ehh? On the eyewear front, Raen Optics has you covered in matters of both looks and functionality. Remember, the building blocks of any grab-and-go look are often pieces right in front of you — a cool denim jacket, an easygoing tee, some classic five-pocket pants. From there? Go anywhere you please this summer. Oh, and grab me a pint, will ya? Cheers! August 24, 2017 September 9, 2017 by Beau H.
One heck of a watch for the price — maybe one to buy right now, as it were? One of the things that comes up a lot at The Style Guide (weekly? daily?) is the importance of buying quality, affordable and versatile #menswear pieces. From a classic Oxford shirt to a rugged henley to slim, American-made denim, that type of quality and wearability is out there — if only you know where to look. Such is the case with Timex, a brand that you might have glazed over in the past, one that now deserves a second, or third, look. 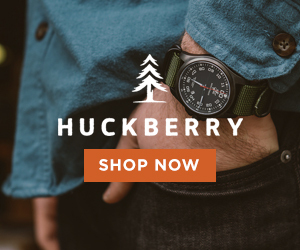 And in the latest entry in our ongoing See Now, Buy Now series, we’re giving the rugged, essential Timex Waterbury Stainless Steel Dive Watch a close look — it’s among the best men’s casual watches to buy now, I can say that much. The Waterbury Stainless Steel Diver plays off the brand’s vintage-leaning, stylish Waterbury line — surely, you’ll recognize the rugged Timex x Red Wing Waterbury Chrono from the pages of this blog. The Waterbury Stainless Steel Diver is in a league of its own, starting with the standout price and carrying right on through to its handsome, subtly stylish and easily wearable aesthetic. It’s a rugged men’s dive watch that gets the look right without a cluttered design. While it’s not exactly made for plunging into great depths in the ocean, it’s a daily watch that’s more than serviceable thanks to the classic durability for which Timex is known. For you and me both, that’s great news. And the better news? 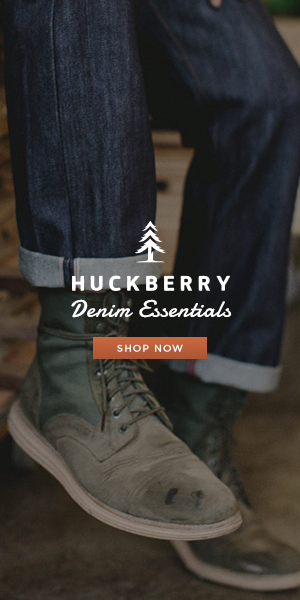 You can get it via Bespoke Post, purveyors of plenty more of your favorite #menswear. If there’s one watch to wear to the office with a classic navy blazer during the week while also teaming it with a rugged short-sleeve henley on the weekend, it’s the Waterbury Stainless Steel Diver. Folks, that type of affordable style can’t be emphasized enough. And a rugged stainless steel dive watch is the perfect piece to add a bit of toughness and visual interest to cold-weather outfits, too — perfect given that we’ll be into fall before you know it. With all that being said … I can’t recommend the Waterbury Stainless Steel Diver enough. That’s as true right now as it’ll be when fall hits. Shop away, and thanks for reading! May 20, 2017 May 21, 2017 by Beau H.
What’s better to wear on a breezy spring day than a slim, stylish polo? Truly, there’s not much. And that’s even moreso the case with the Criquet Slim-Fit Player’s Shirt, a piece that could quickly become your new favorite spring and summer polo. It’s this week’s Style Pick of the Week for great reason — plenty of #menswear-centric design details set it apart from your average polo, and that means it’s to be applauded, praised …. and purchased. In fact, you might recognize the Criquet Slim-Fit Player’s Shirt from a recent #OOTD entry, and it’s back today thanks to its versatility and sharp style. It’s available in a wide plethora of colors, including the crisp Heavy Metal colorway seen in these photos. Other options include the Midnight Cowboy Slim-Fit Player’s Shirt and the Mr. White Slim-Fit Player’s Shirt, so you certainly can’t go wrong in that regard. It’s a newer take on the brand’s classic Player’s Shirt, and it’s a welcome addition to the brand’s line. Now, just why is it so tough to misstep when picking up a slim polo (or other stylish gear) from Criquet Shirts? Let me tell you, my good man. Criquet Shirts started with the simple idea that today’s polo shirts featured sloppy collars and poor construction — using the idea of their favorite prep-school shirts as well as classic polos worn by the guys in their family, Criquet Shirts set out to upgrade the polo. And after checking out the Criquet Slim-Fit Player’s Shirt (in multiple colorways) these past few weeks, I can definitely concur that it’s a style upgrade worth picking up for your closet this season. It’s comfortable enough to wear on a spring road trip, it’s stylish enough to layer under a lightweight navy blazer, and it’s well-made enough to work as hard as you do all day long — trust me. A classic polo paired with crisp chinos and white sneakers — definitely the way to go. Renshaw Sneakers by Brooks Heritage. Standard Issue Utility Chinos by Brooks Heritage. Mod Watch by Timex x Todd Snyder. Notebook by Field Notes Brand. 810 Wallet by Brothers Leather Supply. It features the sort of welcome design touches that other polo shirts lack — for starters, the sturdy collar sits nicely throughout the day, and doesn’t curl over (collar stays similar to your favorite dress shirt help out with that). And the 100 percent organic cotton jersey fabric is soft, comfortable and breathable — you’ll be comfortable in the heat with any color option of the Criquet Slim-Fit Player’s Shirt. I’ve found mine to be handy and versatile enough to wear with everything from slim Apolis chinos and classic SeaVees sneakers to stylish light wash denim and a classic bomber jacket. And although some are firmly in the anti-logo camp, the small Criquet logo stitched on the left chest pocket is understated enough that the Criquet Slim-Fit Player’s Shirt works well on its own sans jacket. That’s great news if you’re in need of a polo — or several — to wear to work and then out to happy hour (without any of the bad connotations that bright polo shirts seem to conjure up). Feel free to wear it with tailored swim shorts and slip-on sneakers to the beach or boardwalk, too. And another thing — if you’ve found yourself wearing fewer and fewer polos over the years, it’s definitely time to start again. Make no mistake — the comfortable fabric, refined colors and tailored fit of the Criquet Slim-Fit Player’s Shirt are all features that could be enough to make you a believer in the power of the polo once again. So, are you back on-board with a polo for spring and summer? What about the Criquet Slim-Fit Player’s Shirt? Let me know in the comments — and we’ll see you out there! March 4, 2017 March 5, 2017 by Beau H.
Available in a plethora of colors and made with durability, style and toughness in mind — the Explorer’s Shirt from Huckberry and Taylor Stitch. Although we’re eagerly looking toward spring here at The Style Guide, we aren’t quite there yet — and that’s why you’ll need the Huckberry Explorer’s Shirt these next few weeks. While it’s tempting to stow away your tough winter accessories in favor of lighter fare, transitional spring style still calls for gear that’s a little heartier than normal. There’s certainly a chance of rain, and heck …. a few snow flurries? Sorry, folks … had to go there. With that being said, the Huckberry Explorer’s Shirt has a lot of great things going for it — namely, it’s made in tandem by Huckberry and a near-weekly Style Guide favorite, Taylor Stitch. That the two companies share office space is fitting, because they both do an admirable job carrying the flag for high-quality, rugged and timeless #menswear. And as you’ve seen from this site’s Style Pick of the Week series, there’s a lot that Taylor Stitch does well — including stellar shirting options like the Crater Shirt. In this instance, the Explorer’s Shirt kicks things up a notch, starting with the durable and tough stone-washed duck canvas exterior — that makes it one of the best men’s overshirts you can buy, and simultaneously, one of the best men’s workshirts to buy, too. Ya dig? Of course, with all great gear from Taylor Stitch and Huckberry, there are plenty of extra touches that make it worth buying (especially in the versatile and unique Natural colorway seen here). Keep in mind that the Explorer’s Shirt is also available in a plethora of colors, from a handsome Rust Gold to a faded Dusty Blue. Regardless of shirt color, you get tremendous quality any way you slice it. Tough brass buttons, a clean fit and sturdy fabric make this shirt a winner. Heck, even the buttons on the Explorer’s Shirt are sturdy — made with brass, they’re a vintage-inspired touch that lends this piece more of a shirt-jacket feel than something like a classic chambray shirt. In that case, you could absolutely layer the Huckberry Explorer’s Shirt with just about any combo you can dream up, be it over a timeless Oxford shirt or your favorite long-sleeve henley (particularly a henley — talk about a one-two combo ideal for weekend style). And because both brands build their gear with paramount functionality in mind, the Huckberry Explorer’s Shirt features an inner chest pocket with a neat, screen-printed map design and enough space for your everyday carry. 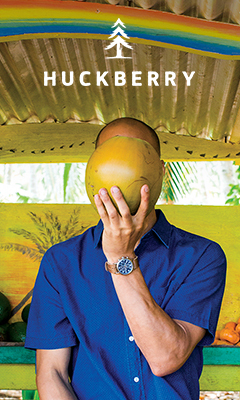 Heck, Huckberry even notes that you can treat the shirt with Otterwax to make it weatherproof — learn more here. When you can get a shirt that doubles as a jacket, fights off the rain, layers up easily and stands out stylishly with everything from slim dark denim to classic chinos, you should absolutely buy it. From there, wear the Explorer’s Shirt plenty — ideally with other Taylor Stitch gear, yes? 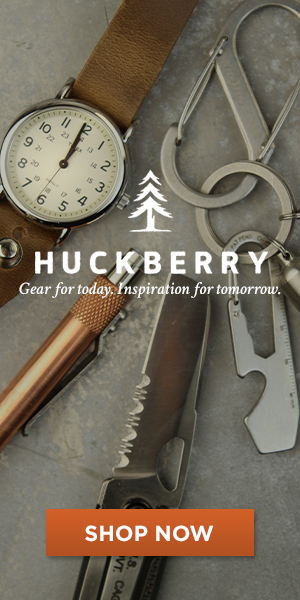 Would you buy the Huckberry Explorer’s Shirt? How would you style it?